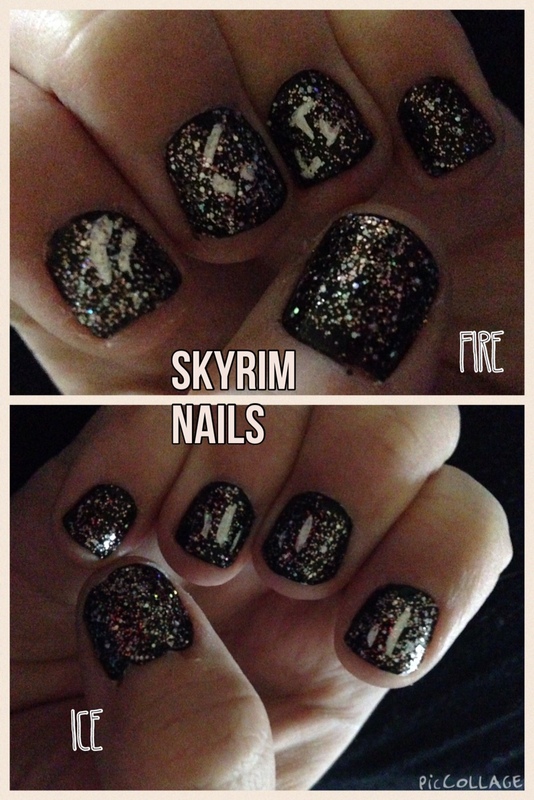 Skyrim is one of my favorite video games ever, and I really wanted to try to bring some Skyrim love to my nails. Here’s the thing though, though there are loads of cool runes and symbols from the game, they are all hella hard to put onto your fingernails. 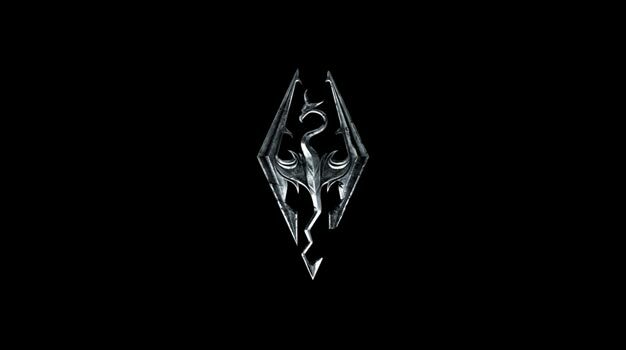 I initially wanted to try to recreate the Skyrim symbol. 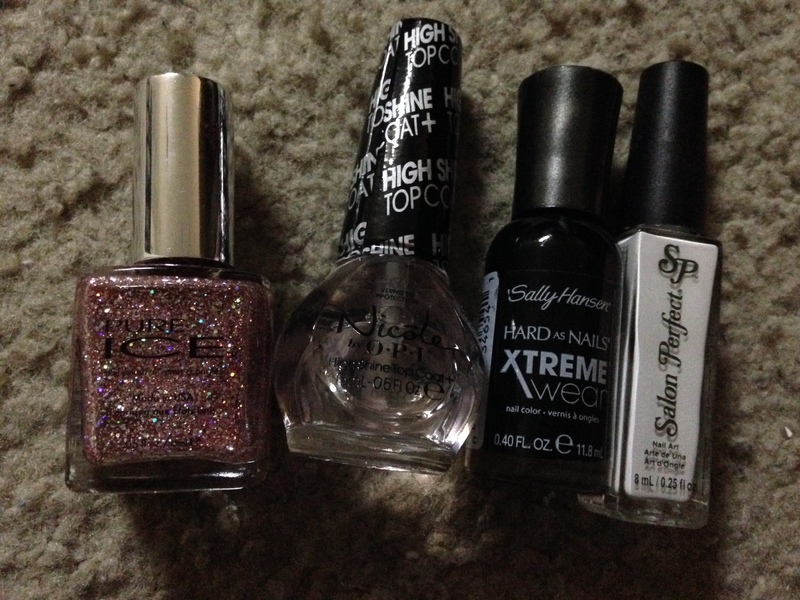 From there, I used the black as a base coat. To draw the runes, I used the white polish and sort of awkwardly broke them up between three nails. If you look at the words “fire” and “ice”, there seem to be three basic symbols that make up each word, so while the Greybeards might balk at my division of the symbols (though I’m pretty sure they’d have a bigger issue with my horrible attempts at recreating the characters on my nails), I felt it got the job done for geeky nail purposes. Check out my last endeavor in geeky nails with my Harry Potter-inspired mani. AHHHH, THIS IS AWESOME! Skyrim is most def one of my all time favorites. And your nails are so cool looking. I bet you could totally do some Shadowmarks too, there’s some circles, but it’s mostly lines. Okay, you know what, now I have to try this. Brilliant! And yeah, I can imagine that trying to draw out the Skyrim symbol would be so difficult!